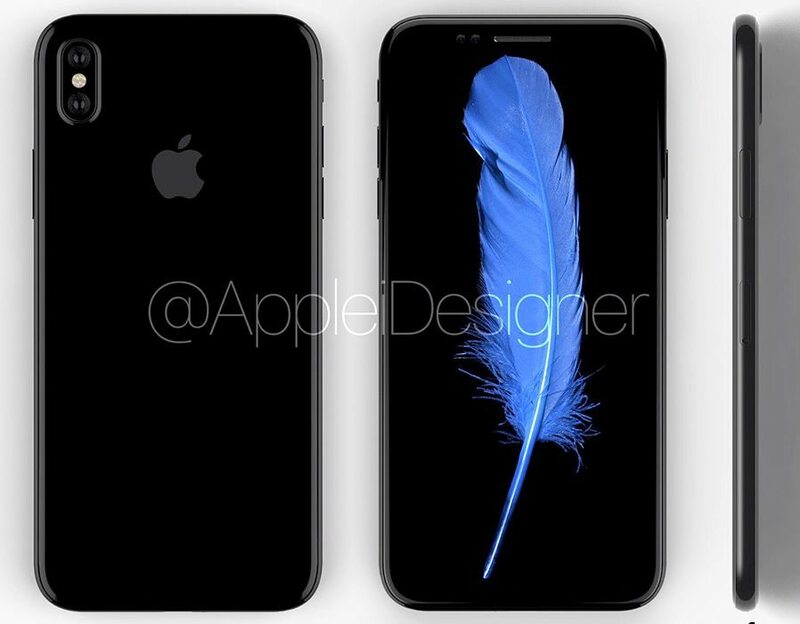 Apple's next biggest releases will be its new iPhones rumored as iPhone 8 and iPhone 8 Plus and we have seen the device leaked a number of times online. According to a report from WSJ, Apple will launch the new iPhone 8 and iPhone 8 Plus in an event on September 12th at Steve Jobs Theater, however, Apple hasn't sent out any official invites for the event as of now but we can expect an announcement soon for the event. The company is also expected to launch the new iPhone 7s and iPhone 7s Plus smartphone in the official event. The new iPhones will be launched with upgraded hardware and with the new iOS 11 that will carry a number of new features and a new look for the new iPhones. The New iPhone 8 is expected to feature an edge-to-edge near-bezelless OLED display and will have a dual camera on the rear side and will also support wireless charging and facial recognition. The iPhone 7s and 7s Plus are expected to feature the same features as it predecessors and will carry the same LCD display but will have a new chipset and is expected to feature a glass back instead of aluminium. The new iPhones are expected to feature the new 3D facial recognition technology instead of the Touch ID fingerprint technology according to the rumors. The new iOS 11 will carry more features than its predecessors and is expected to be available on September 12th onwards for all the compatible iPhones and other Apple devices. To recall, the iPhone 7 and 7 Plus were launched last year with 3D touch display and the iPhone 7 Plus was the first Apple device to carry the dual rear camera. The iPhone 7 was launched with a 4.7-inch IPS 3D Touch display, a 64-bit quad-core A10 Fusion processor with six-core GPU and M10 motion co-processor, 32GB,128GB and 256GB inbuilt storage options and 3GB of RAM, a 12-megapixel rear camera with f/1.8 aperture, a 7-megapixel front facing camera with f/2.2 aperture, a built-in lithium-ion battery that delivers up to 10 days of standby and up to 12 hours of internet usage on 3G/4G LTE network and a fingerprint scanner. The iPhone 7 Plus was launched with similar specs like iPhone 7 but has a large 5.5-inch display and it features a Dual-rear camera with 12-megapixel cameras.